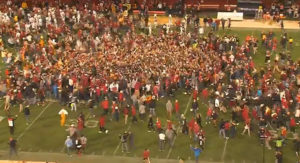 ISU fans rushed the field following the upset win against West Virginia. 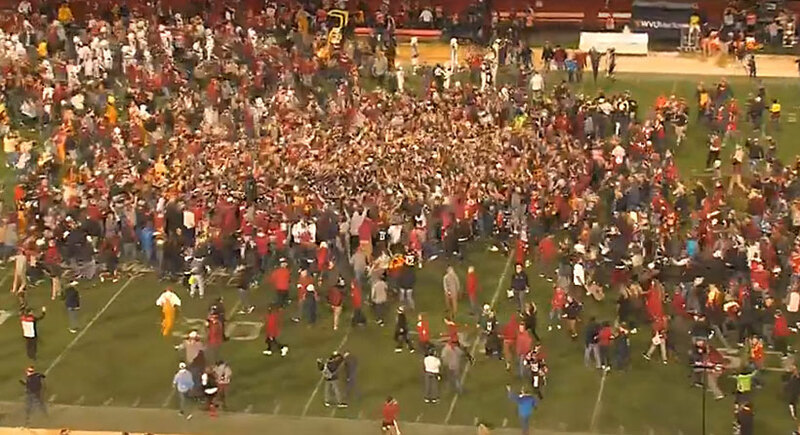 Iowa State University President Wendy Wintersteen announced Friday that the Big 12 Conference denied the school’s appeal of the fine levied against them for the post-game celebration when fans rushed the field after the Cyclones’ football victory over West Virginia. “Our institution takes the safety and welfare of all student-athletes, officials, and fans very seriously and we will continue to review and refine our safety protocols based upon our actual experiences,” Wintersteen said.